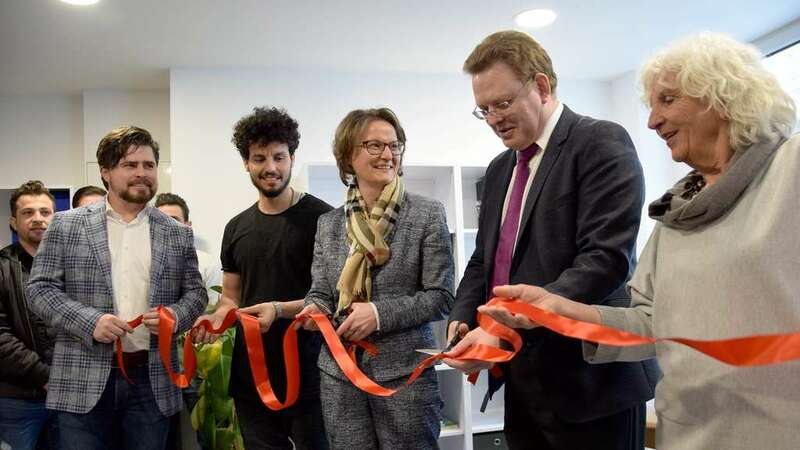 New Neighbours, New Citizens: Migrant integration in Altena, Germany | The Forum Network, hosted by the OECD: Shape ideas. Shape policy. Shape the Future. This article is part of the Forum Network series on New Societal Contract. You may not have heard of my town, Altena, in Germany. We are small community in North Rhine-Westphalia, with only 17,000 inhabitants. But whether you know us or not, there is very probably something that was made in Altena that you use in your everyday life: we are proud that nearly 20% of the steel wire produced worldwide is made here as well as many kinds of springs, screws and bolts. We are also proud that we have achieved a different kind of renown, for our welcome of refugees. 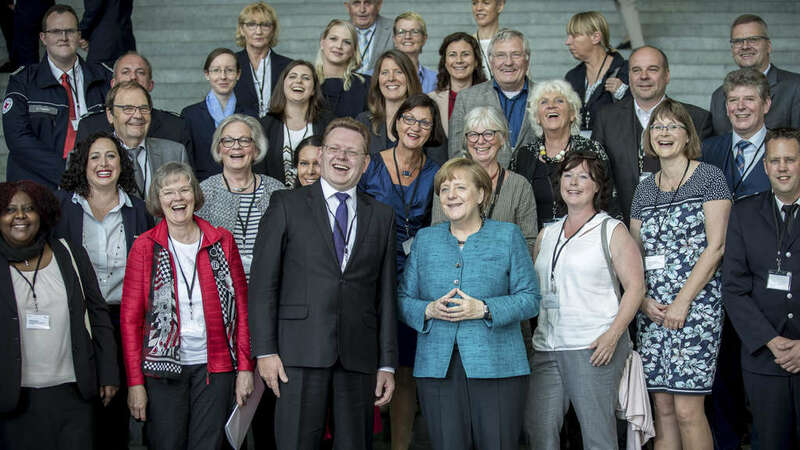 In May 2017, Chancellor Merkel presented us with the first National Integration Award. Altena was selected for our “exemplary” efforts and for the innovative mix of policies and tools we have been using. So, why did we welcome so many newcomers? What have we been doing to help them settle in? We choose to welcome them because we need them. Altena is a small town and we have been getting smaller. Although we experienced labour migration in the past (from Turkey, Italy, Spain and Greece in the 1960s and from Russia and the Yugoslavia in the 1990s), we lost nearly half our population from 1970 to 2010 due to lower birth rates and young people moving away. As mayor, I have worked to maintain Altena’s industries and to develop our tourism sector. But for this we need more people, and migrants are a way to stabilise our shrinking population. Thanks to our newcomers, Altena’s population has stabilised in the last three years and more children have been born. Migration is thus one element in our overall strategy of town development. 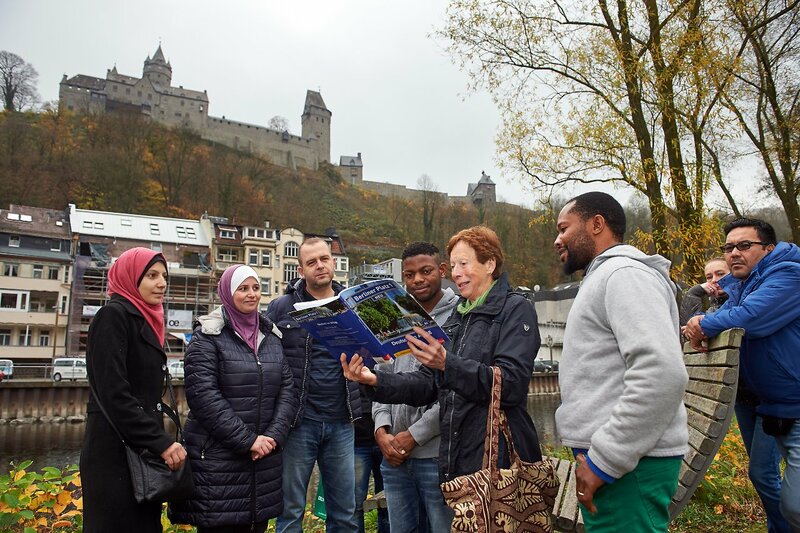 Starting in 2013-14, Altena decided to welcome our migrants as “new neighbours” and “new citizens”. We believe that successful integration can help both our town and our newcomers, making migration a successful, win-win situation. While Altena needs migrants to help with its demographic challenge, our small size is also an advantage for humanitarian reasons, as we are able to offer them the possibility to find reasonably priced housing, a job and personal connections. Indeed, it is through human contact, person to person, that integration takes root. Thanks to our programme of volunteers (Kümmerers), who are paired with migrants on their arrival, migrants have the opportunity to start their new lives in a normal flat, in a neighbourhood, and to get to know their German neighbours. Working with the local authorities and civil society groups, these volunteers help migrants settle in, enrol in school and find work. We have also created other ways for migrants and locals to get to know each other. In 2017, for example, we opened Freiheit26, a former restaurant in the city centre that is now a place for migrants and Altenaers to get together. We have also helped migrants integrate professionally, through access to apprenticeships and jobs, improved recognition of migrants’ degrees and qualifications, and German language classes: recently, 25 migrants were integrated into work after finishing their language courses. Nevertheless, integration is still challenging, in terms of resources and co-ordination – and at times, attitudes. Although Altenaers are more open-minded towards migrants than in some other parts of Germany because of our long experience with labour migration, there is still a minority that rejects integration efforts. These people disagree with the work of the volunteers and the efforts by all political parties in the town council to strengthen integration. But we cannot forget that even in the future there will always be pressure from migration because of war and poverty, and, in the medium term, because of climate change. Altena is preparing for this future, one that can be a win-win situation for lifelong Altenaers and newcomers alike. Dr. Andreas Hollstein studied Law and earned his PhD at the University of Bonn. From 1993 until 1995 he worked for the Head of Division at the Embassy of the Republic of Lithuania. After this he worked as a Research Assistant of Wolfgang Lohmann MP and in the CDU/CSU faction in the German Bundestag in the areas of social welfare and the benefits act for asylum seekers. He became Honorary 1st Deputy Mayor of his home town Altena in 1994. 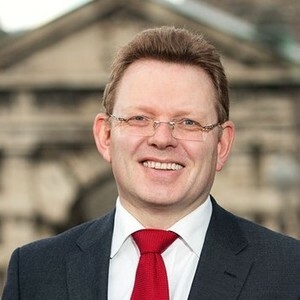 He has been Mayor of the City of Altena since 1999.